The projects represent the practical side of User Inspired Design course: Illustrating User and Use (UIDi). In UIDi students learn to choose, compose and apply design artefacts for different communication purposes that are necessary when they design concepts for complex socio-economic systems. Authors: Maria Huusko, Sami Huuskonen, Laura Salmi, Joseph SavageWith this project we wanted to understand the stress and cognitive load factors associated with writers’ work. We soon discovered that a writer’s life consists of more variety in moods, environments and tasks that we ever could think of. We embarked on a journey of discovery that resulted in a book. It contains six chapters, each one representing one phase of the work. Authors: Anna Pyyluoma, Anne Illi, Petra Leino, Yuri FukamatiIn this portfolio we propose a design concept for an open platform culture festival. Named “Sharing Cultures – SHE”, the aim of the concept is to bring together women of the Muslim community and the Finnish original population and encourage them to learn and share experiences with each other and thus increase dialogue between the cultures. The festival is presented as a possible solution for a broader design problem that is how to make environments more inclusive towards different cultures without it becoming exclusive. Authors: Lauri Käkelä, Aarne Leinonen, Tuomas Puttonen, Lindsay SimmondsThe target of our UID project was to help young people to choose their future. We came up with a concept that could revolutionize the passive school counseling classes by turning them into a more meaningful and active search of a person’s own interests. We used the Codesign activity to investigate the problem area and gain inspiration for our solution. In the resulting concept the student becomes an active agent by building a board of his or hers own career research. The expanding board is them working as a communication tool between the student and the counselor. The project is inspired by the passion about cycling and care about the most vulnerable group of cyclists — elderly people. We wanted to answer the question: How can design increase safety and decrease death rate of elderly cyclists in urban Helsinki? 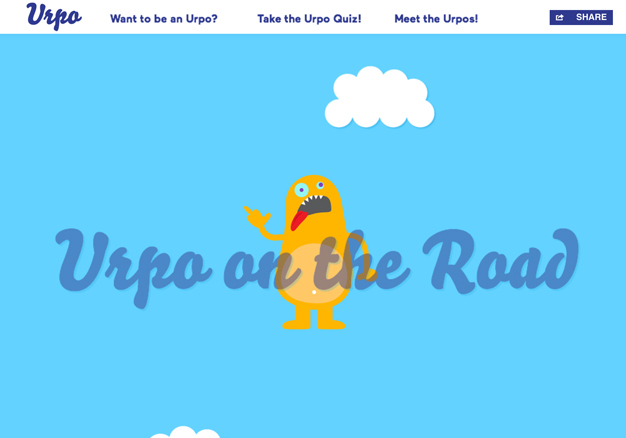 Our concept “Urpo on the Road” is a world where the characters represent the attitudes and behaviors that endanger cyclists.